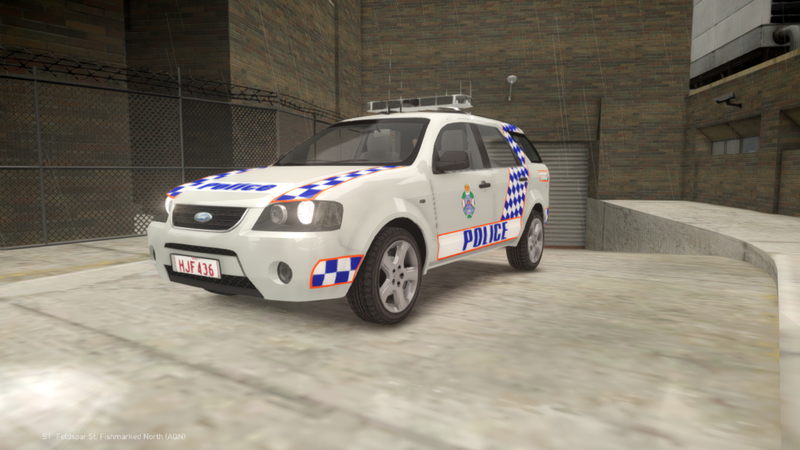 Ford Police Interceptor Utility (Explorer) Skins: Any FPI Utility vehicle based on KevinDV's template. This skin is made from scratch and is based on both the Department of Homeland Security and inspired from Lt. Caine's NOoSE Skin from the 2003 Chevrolet Impala. THIS UPDATE IS EXCLUSIVE TO LCPDFR.COM & GTA-MOD-CENTER.COM. DO NOT UPLOAD THIS ANYWHERE ELSE WITHOUT CONSENT. DO NOT EDIT OR RIP THE TEXTURES WITHOUT CONSENT EXCEPT FOR PERSONAL USE! I, BLUE CROSS, RETAIN ALL DISTRIBUTION / PROPERTY RIGHTS TO THIS AND OTHER SKINS UPLOADED UNDER THE PREMIER OR BLUE CROSS USER NAMES. 2nd pack of my unreleased skins .. this time for Dodge Charger. Here is my Portland Police Bureau themed skin pack for Liberty City! Each car comes with unique plates, as well as the Tahoe and CVPI having Supervisor variants. Skin pack is to be used with these packs, although they may fit with other vehicles. If you want to edit them, just PM me. One more thing, These are not meant to be 100% accurate to the PPB. I know this. Don't get all pissy because they aren't 100% accurate. That's also why I made them be LPB, not PPB. Thanks for downloading and don't forget to rate! CREDITS - Skins by MrOxPlay. Do NOT Edit Without Permission. Any Questions, Feel Free to PM me. I don't have time to do full skin pack..so i decide to release just 3 varitations for DF CVPI.. I made this interesting computer screen a few months back but it's been lost in the depths of my computer and forgotten about until now. I thought I should upload it for others to enjoy. I think it took me a few hours to make. THIS IMAGE IS TOTALLY FICTIONAL, INCLUDING ALL NAMES AND LICENCE PLATE NUMBERS, AND SHOULD NOT BE TAKEN SERIOUSLY. This texture is for Kinksta's NZ-based appliance fire truck which can be found here. Feel free to modify, change or use this in any way you wish. You may use it for clans/communities and you may edit it to use for clans/communities, however you cannot re-upload the edited versions to any public download site(s). Here is a simple but detailed ambulance texture for LtCaine's Ford E450 ambulance on GPM (link in the readme). 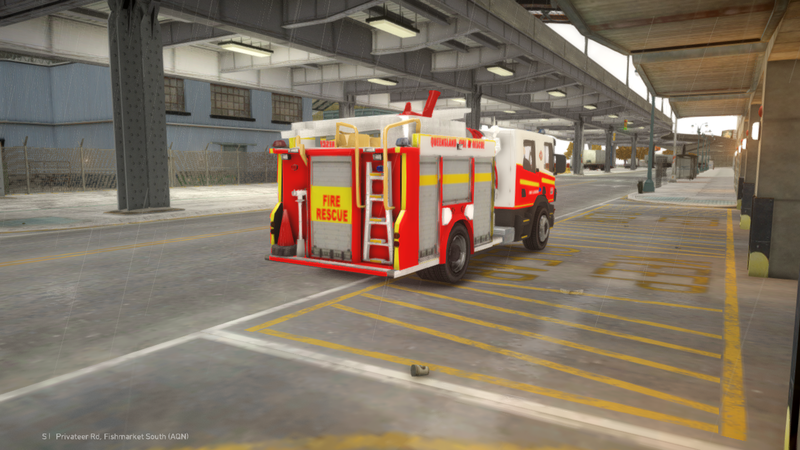 I have also included textures for red/blue lights and clear light bar glass with a matching ELSv8 config file. This received good feedback in the gallery so I decided to release it for people to use. Texture by myself, medical logo's are from LtCaines original FDLC texture. ELS textures by LtCaine, edited by myself. More details and instructions are in the readme file included in the download. #YOU ARE NOT ALLOWED TO REUPLOAD WITHOUT MY PERMISSION. EDITING, RIPPING, CLAIMING IS NOT ALLOWED. FAILURE TO DO SO WILL RESULT TO PUNISHMENT. The models used in this pack are not made by me! These skins work with any DSF Vic, Bugs Impala, Bugs Tahoe, Dhruv 2014 Charger, KevinDV Caprice and Explorer. Each skin comes with 4 unique unit numbers and also with the Impala, comes with 2 unmarked variants, 1 stealth and 1 marked. DO NOT UPLOAD THESE ANYWHERE ELSE OR EDIT THEM WITHOUT MY PERMISSION!! Please rate and leave feedback! I'd love to hear from you! Missouri Highway Patrol Ford Explorer texture, request by a friend. Hope you guys like this skin. 2. Scroll down and click "cdimages"
7. Click the Import Texture button at the top, find my texture and click "Open"
9. Double Click on the .wtd file. Maine Game Warden is a Department that Helps to Enforce Hunting laws in Maine. I was requested to make the black Fatal 4 design the fit the VF Commodore and here is the result. Keep in mind that the real car is a Falcon so I had to improvise a little bit on the bumpers and the back end but it's pretty close to the real thing. THIS TEXTURE IS FOR JACOBS VF COMMODORE MODELS! It will not fit on SNIT and Blueheelers model when they release it. -Badges, logos and the base design belong to the Queensland police force. -VF Commodore template by SnrCst Jacob. Liberty Pines Police Department 2015 Tahoe skin. Hope you guys like this skin! Chiacgo Police 2015 Tahoe skin for VooDoo's 2015 Tahoes! Do Not Upload any textures found in this pack. Do Not use this texture for clan use without permission. -Kinsta100 & NZ Vitural for the model. **Note this skin was made without a template so it is not 100% accurate. There will be a V2 when Kevin releases the template. -KevinDV for the Territory model.